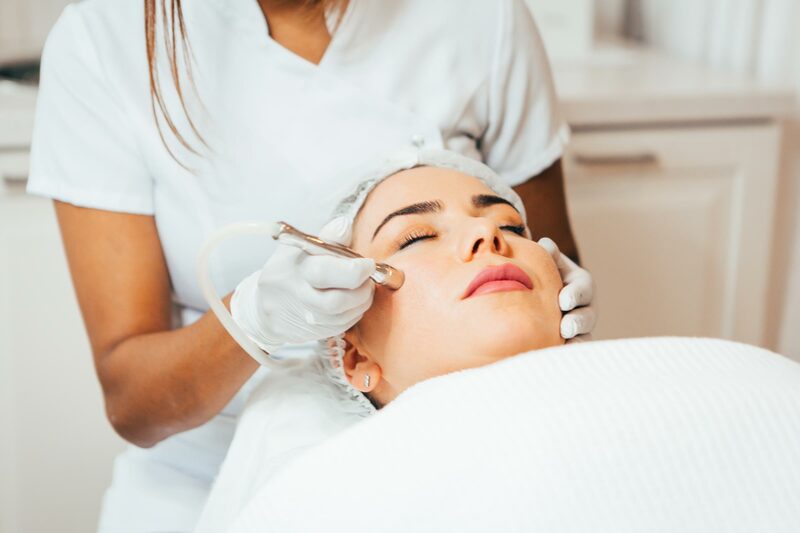 Microdermabrasion is a mechanical peeling which makes the skin smooth, soft and youthful by evenly removing thin layers from the skin using aluminium-oxide crystals. This is a soft and painful peeling which not only removal the upper layer of dead skin, but also stimulates collagen production. 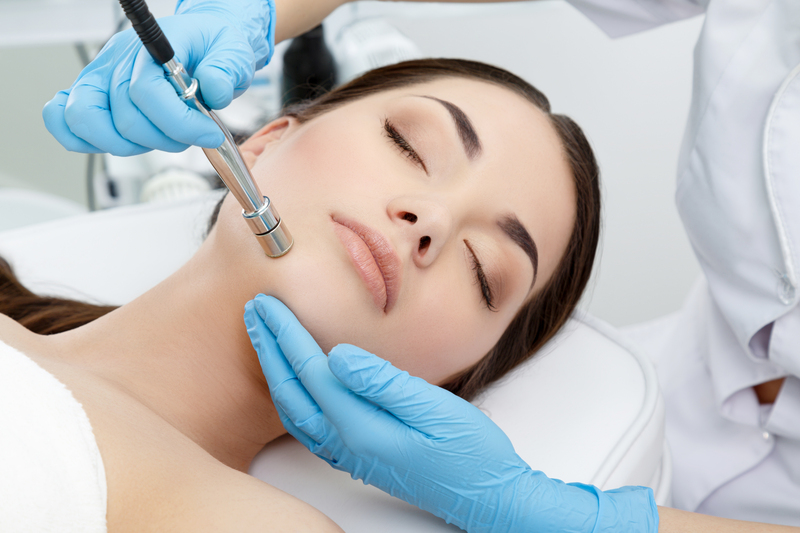 Because of its simplicity, effectiveness and total absence of side-effects, microdermabrasion is currently the most popular technique for skin rejuvenation. All skin types are suitable for treatment with microdermabrasion, including dark or black skin. In a totally painless way the top layers of the skin are scoured off so that the oldest and damaged skin cells will be removed revealing a soft and even skin. This process stimulates the cell renewal and the production of new cells with collagen. You’ll immediately have a smoother and fresher skin and the depths of wrinkles will be reduced. The treatment causes the skin to rejuvenate and renew from within. Because of this natural process of cell regeneration, you will have beautiful, radiant, healthy skin. After dermabrasion, the skin’s will have an optimum capacity for absorbing nutrients. You can choose for a standard microdermabrasion treatment, where after the peeling a suitable mask for your skin type is applied. Or you can choose for for microdermabrasion treatment in combination with with anti-ageing using hyaluron. This consists of a firming and regenerating facial treatment with an intensive anti-ageing effect because of the application of hyaluron which causes fine lines and wrinkles to fade. From within the lines and wrinkles are smoothed out. The skin is deeply hydrated so that moisture balance is better maintained. The hyaluronic acid is a natural protein which maintains an optimal moisture balance. The hyaluronic acid connects to water in the space between the cells and forms a substance which keeps the cells together. 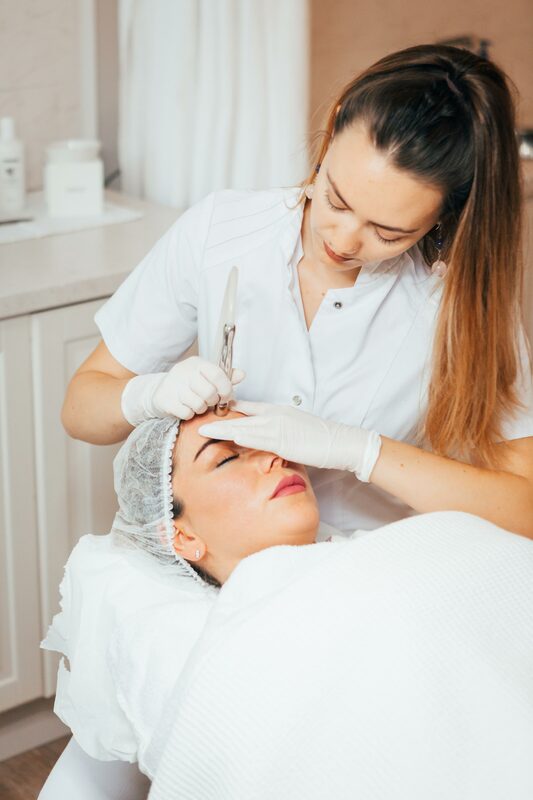 Or choose a combined treatment method with microdermabrasion with hyaluronic acid and mesotherapy, With this combined treatment with mesotherapy the skin is temporarily made more accessible so that specific active ingredients can be transferred into the skin more easily using sound-waves. This treatment also has a lifting effect. During your first consultation we will discuss the treatment plan for your specific skin problems .We will give you honest and knowledgeable advice. Microdermabrasion delivers the best results when you do a course. There’s a gap of 10 to 14 days between treatments to give the skin the opportunity to produce new skin cells. For a clearly visible result you’ll need at least 5 treatments. To optimise the result you can support the treatment at home by using the correct skincare products. A starter course of 5 treatments (once every 10 to 14 days) is recommended in order to reach optimal results. Insurance coverage might be possible if you have additional cover. Please contact us for more information.